With such a large virtual marketplace, sometimes you might feel a bit like you're going in circles. "Have I been here before?" This might cause you to be unsure if you're inquired about an animal before. 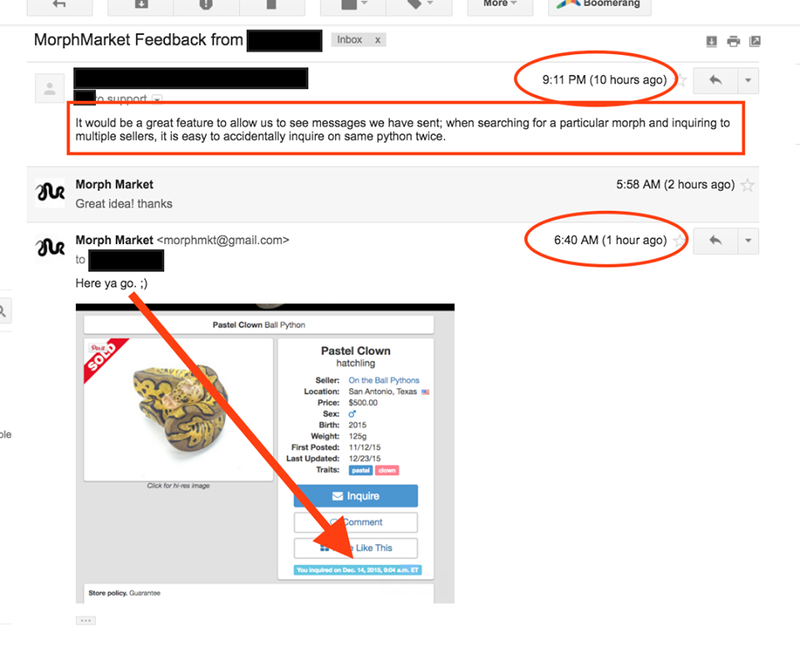 Now we'll display a teal-colored box below the Inquire and other buttons which shows you the timestamp of previous inquiries. This was a great idea from a user last night. Do we listen to user feedback? You betcha!